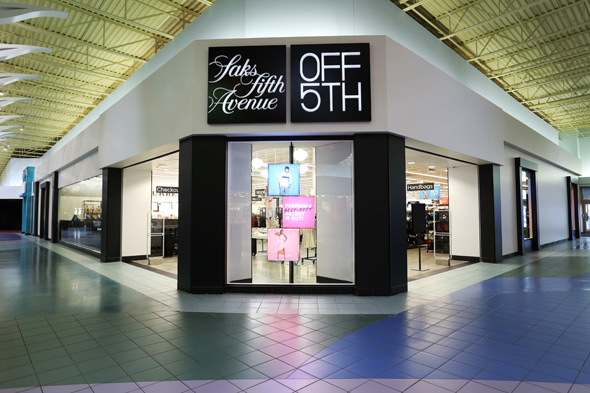 The Saks OFF 5TH Vaughan Mills location is the discount offshoot of Saks Fifth Avenue . It's one of three Canadian stores (the other two are at Toronto Premium Outlets and Outlet Collection at Niagara) that offer discount designer duds for men and women. The store is enormous - it's jam-packed with product and somewhat overwhelming. The open-space layout and clinical fluorescent tube lights make it easy to scan the room, but I'm the type of gem-hunter that has to be in a very specific mood (read: patient, with all the time in the world) to be able to pick through its merchandise. 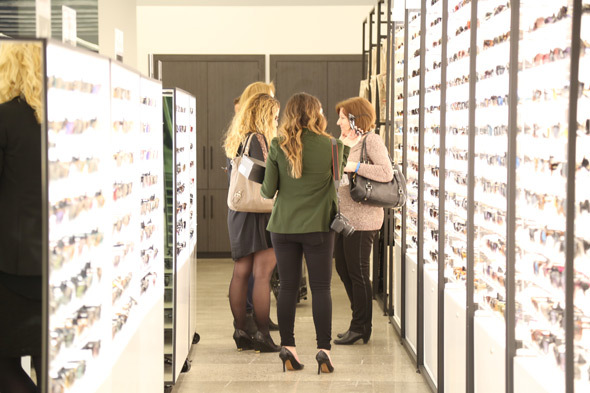 There's clothing, shoes and accessories by over 800 brands, selected by in-house buyers or transferred from Saks Fifth Avenue stores. Luckily, I was up for a perusal, so I waltzed in and got right to it. All the clothing is first organized by category and then by designer, making it easy for label junkies to find their drug of choice. In the women's section, there's everything from super 'laxed Free People linen kimonos ($129, comparable to a regular retail price of $228) to Diane Von Furstenberg wrap dresses in all sorts of funky prints ($269, comparable to $490). The men's section only takes up a fraction of the stock, but I saw a Rag & Bone crew neck sweater ($199, comparable to $368) and speckled grey Hugo Boss suit ($899, comparable to $1450) that I wouldn't mind seeing on a guy! The shoe section is absolutely obnoxious, boasting rows upon rows of marked down footwear by brands like Puma, Cole Haan, French Connection, Lanvin and Saint Laurent. My favourites were a pair of Isabel Marant Ătoile sneakers ($599, comparable to $850) and Frye chukka boots ($289, comparable to $418). 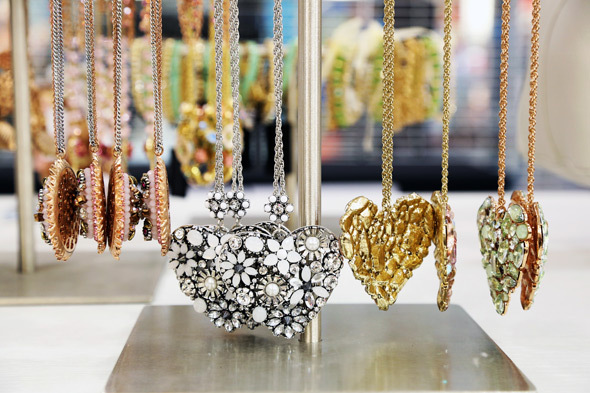 As for accessories, there are bags, watches, sunglasses, jewelry, wallets, hats and more organized in their own little sections. Pre-owned vintage designer accessories - like a stunning, cream-coloured Prada tote ($895) - are encased in glass. Overall the selection is very safe; as somebody who dresses, err, experimentally, I had a tough time finding anything truly unique. However, OFF 5TH's stock refreshes often (that's the whole point of an outlet store), so I'm sure it was just tough luck. Perhaps I'll find something jaw-dropping the next time a browsing mood strikes. Photos courtesy of Saks OFF 5TH.